Associate Professor Emin BAL was born in 1970 in the Nazilli district of Aydın. Besides orthopedics, traumatology and hand surgery specialty, he works in sports injuries, arthroscopy, joint surgery and upper limb surgery. He is married and speaks English. Sügün TS, Ozaksar K, Toros T, Kayalar M, Bal E, Ozerkan F.
Limb salvage and amputation in Type 3C tibial fractures. Gürbüz Y, Kayalar M, Bal E, Toros T, Küçük L, Sügün TS. Comparison of dorsal and volar percutaneous screw fixation methods in acute Type B scaphoid fractures. Humeral shaft nonunions: plates and nails. Toros T, Ozaksar K, Sügün TS, Kayalar M, Bal E, Ada S.
The effect of medial side repair in terrible triad injury of the elbow. Acta Orthop Traumatol Turc. 2012;46(2):96-101. Sügün TS, Gürbüz Y, Ozaksar K, Toros T, Kayalar M, Bal E.
Results of volar locking plating for unstable distal radius fractures. Acta Orthop Traumatol Turc. 2012;46(1):22-5. Davasaksan A, Durusoy R, Bal E, Kayalar M, Ada S, Tanık FA. Risk factors for occupational hand injuries: Relationship between agency and finger. Am J Ind Med. 2012 May;55(5):465-73. doi: 10.1002/ajim.22016. Epub 2012 Feb 14. Gürbüz Y, Kayalar M, Bal E, Süğün TS, Ozaksar K, Ademoğlu Y. Long-term functional results after radial nerve repair. Acta Orthop Traumatol Turc. 2011;45(6):387-92. doi: 10.3944/AOTT.2011.2530. Results of partial matrixectomy for chronic ingrown toenail. Foot Ankle Int. 2011 Sep;32(9):888-95. Kayalar M, Bal E, Toros T, Ozaksar K, Sügün ST, Ademoğlu Y. The results of reverse-flow island flaps in pulp reconstruction. Acta Orthop Traumatol Turc. 2011;45(5):304-11. doi: 10.3944/AOTT.2011.2404. Kayalar M, Bal E, Toros T, Süğün ST, Ozaksar K, Gürbüz Y. The outcome of direct-flow neurovascular island flaps in pulp defects. Acta Orthop Traumatol Turc. 2011 May-June;45(3):175-184. doi: 10.3944/AOTT.2011.2429. injuries..J Hand Surg Eur Vol. 2011 Mar 15. [Epub ahead of print] doi:10.1177/1753193411400520. Sügün TS, Karabay N, Toros T, Ozaksar K, Kayalar M, Bal E.
Validity of ultrasonography in surgically treated zone 2 flexor tendon injuries. Davas Aksan A, Durusoy R, Ada S, Kayalar M, Aksu F, Bal E.
Epidemiology of injuries treated at a hand and microsurgery hospital. Acta Orthop Traumatol Turc. Toros T, Ozaksar K, Sügün TS, Kayalar M, Bal E, Ademoglu Y.
multi-digit injuries. J Hand Surg Eur Vol. 2011 Mar;36(3):179-84. Epub 2010 Nov 2.
chronic sclerosing osteomyelitis..Acta Orthop Traumatol Turc. 2009;43(6):510-4. Turkish. Toros T, Karabay N, Ozaksar K, Sugun TS, Kayalar M, Bal E.
Kayalar M, Toros T, Bal E, Ozaksar K, Gürbüz Y, Ademoğlu Y.
percutaneous technique]. Acta Orthop Traumatol Turc. 2009 Jan-Feb;43(1):35-41. Turkish. Bal E, Pişkin A, Ada S, Ademoğlu Y, Toros T, Kayalar M.
Kayalar M, Ozerkan F, Bal E, Toros T, Ademoğlu Y, Ada S.
Elbow arthrolysis in severely stiff elbows. Arch Orthop Trauma Surg. 2008 Oct;128(10):1055-63. Vatansever A, Pişkin A, Kayalar M, Bal E, Ada S.
fractures treated with closed reduction and K-wire fixation]. Acta Orthop Traumatol Turc. Kayalar M, Vatansever A, Bal E, Toros T, Ozaksar K, Ada S.
Bal E, Ademoğlu Y, Kayalar M, Toros T.
Vatansever A, Bal E, Okcu G.
Ganglion cysts of the proximal tibiofibular joint review of literature with three case reports. El kırıklarının tedavisi. TOTBİD Dergisi 2004 cilt:3 sayı:1-2; 9-18. Bacakta egzersiz sonrası gelişmiş akut kompartman sendromu (olgu sunumu). Artroplasti Artroskopik Cerrahi Dergisi 2000 Vol:11 No:2; 184-187. Hamstring tendonlarıyla ön çapraz bağ rekonstrüksiyonu. Acta Orthop traumatol Turc 1999: 33; 412-418. Sporcular ve normal bireylerde quadriceps femoris açısı (Q Açısı). Spor Hekimliği Dergisi (1997) 32; 73-81. 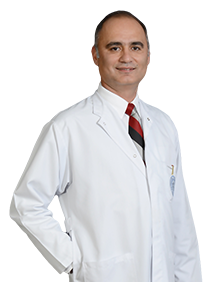 İyileşme sorunlu femur cisim kırıklarında kilitli intramedüller çivi uygulamalarımız. Hacettepe Ortopedi Dergisi (1994) 4(3); 137-140. When you fill out the form, our appointment secretary will call you to settle the further arrangements and confirm your request.